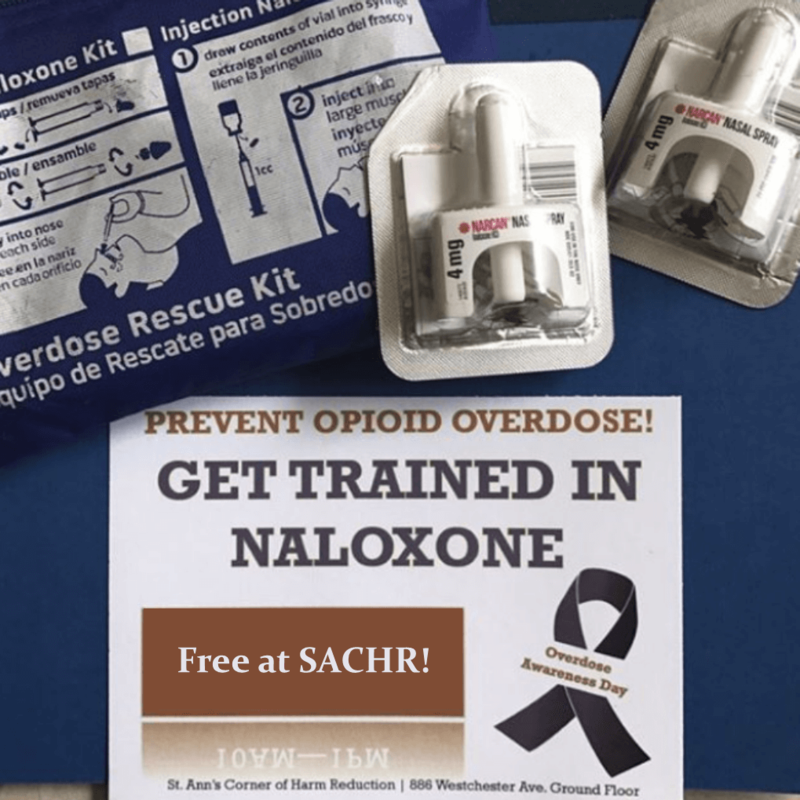 At SACHR we offer on-site Narcan training to all of our program participants. We also offer free training to community members and community based organizations to cut the spread of accidental fatal opioid overdoses. We are dedicated to preventing overdoses at all costs and will continue to take the initiative to come up with new interventions to do so. We at SACHR started what has become the test strip movement in the U.S. We began to teach drug users how to test their drugs for fentanyl, a powerful opioid, prior to ingestion. If they can detect fentanyl in their drugs, they can make an informed decision. We believe that an educated consumer is an empowered consumer. Since the introduction of illicitly manufactured fentanyl into the street drug supply fentanyl-related deaths have risen by nearly 700% since 2000 nationwide. As a result of our initial push with offering drug testing strips, it is now standard across the Nation in Harm Reduction Programs and with drug users’ unions in an effort to reduce accidental overdose. We will help empower you to prevent overdoses by providing materials and education at no cost. We will provide you with narcan and fentanyl test strips and teach you how to use them. These materials and training are available for both individuals and groups. If the Bronx were an independent state, it would be ranked second for fatal opioid overdoses in the United States.